“We shall never know all the good a simple smile can do.” ~ Mother Teresa. A dental crown, also sometimes called a cap, is a type of restoration that is used to repair teeth that are damaged, cracked, broken, decayed or otherwise unattractive in some way. Unlike a dental implant, a crown does not replace a tooth but rather is used to cover the outer surface of the tooth, protecting the living inner part of the tooth from further damage. Crowns can be made from a number of different materials, but in general they are made from either metal (sometimes gold, often other noble metals mixed together such as platinum, silver, etc) or they could be made from a ceramic or porcelain-like material, or they could be made from a combination of metal covered with a ceramic or porcelain-like material. The part of your natural tooth that we see when we look in the mouth is called the “crown” of the tooth. As such, the replacements that are made from metal or ceramic or the combination are also called crowns. This portion of your tooth is an important part of it’s structure. The shape of the crowns of various teeth vary a bit, depending on their spefic job in the mouth. The crowns of your front teeth are designed to bite into things. The crowns of the back teeth are designed to grind and chew our food, and so they look quite different from the crowns of the front teeth. 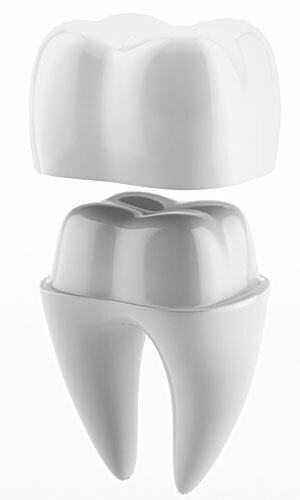 One of the most important jobs of our crowns is to protect the inside of the tooth. The crown of a natural tooth is made of a substance called enamelrowns are covered with enamel, a material that protects the inner tooth due to it’s strength and hardness, but that surface can still be attacked by cavities, and can become damaged and weakened. When teeth become damaged to a point that a simple filling isn’t strong enough to protect the inner part of the tooth, a dental crown is needed. 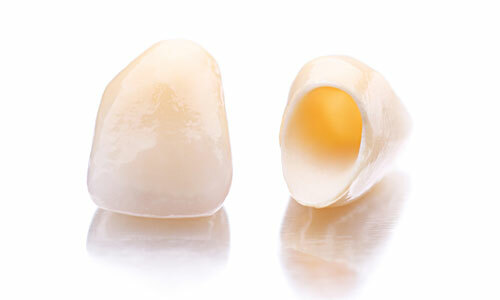 The replacement crowns are made to look, feel and act just like your natural teeth. A tooth must first be prepared to receive a crown. This is done by using the dental hand-piece to reduce the outer dimensions of your natural tooth so that a crown can fit down over the prepared tooth once all the damaged areas have been removed. The picture to the right illustrates how the crown fits over the prepared tooth. More often than not, the underlying tooth will be damaged enough that in order to place a crown you will require what is called a “core”. A core is made when the underlying tooth is built up by using materials so that there is more to “grab hold” of when putting the new crown on the tooth. The crown will be cemented in place using a permanent cement, and is designed to stay on for good. A bridge is merely two crowns that are attached with one or more teeth separating them, in order to fill a missing space in your jaw. The “fake” teeth inbetween the two crowns are called pontics. A bridge can have one or more pontics. However, as the number of pontics increases, the strength, durability and possibilty of the crown decreases. Sometimes there is just too much space to fabricate a bridge. 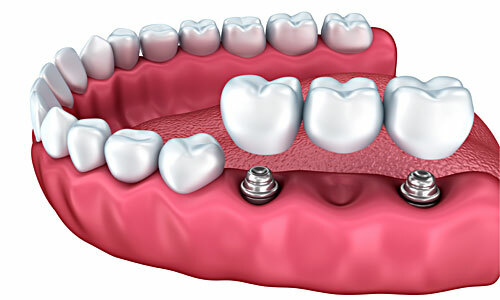 Today, the dental implant is replacing the dental bridge as the ideal treatment for missing teeth. While bridges are a good option when implants are not possible, bridges sometimes require the intentional damaging of good teeth in order to replace a missing tooth. Dental implants on the other hand do not affect the adjacent teeth. In modern dentistry, the more appropriate way to replace a long span of missing teeth is by use of an implant supported bridge. As you can see in the image here, two dental implants are acting like the roots of two normal teeth, and the dental bridge spans the area of missing teeth, replacing them as if they were never gone. Implant supported bridges are permanent, they do not come in and out of the mouth like a partial or complete denture. Once they are cemented into place, they are there for good. A crown is sometimes required for a tooth that has received a root canal treatment. A root canal may save you from loosing a tooth, but the process can also weaken the tooth over time. When the pulp and blood supply is removed from the inside of a tooth during a root canal procedure, they are no longer living teeth, and so can become brittle and fracture over time. Sometimes the root canal is performed because so much of the outer tooth structure is damaged that the remaining tooth would need the strength of a new crown to protect it going forward. A crown will seal off the inside of the tooth, and reduce the risk of fracturing the tooth, as well as serving to have the appearance of a real tooth. Some root canal treated teeth can be restored with just a filling in the access where the root canal was performed. This is usually teeth that are located in the front of the mouth, and that had decay or damage that wasn’t extensive. If they had large amounts of decay or a big fracture, these front teeth may require a crown as well. The crown or bridge that is made to go over your damaged tooth will be custom made for you, and will have the same characteristics as the teeth that you have in your mouth. 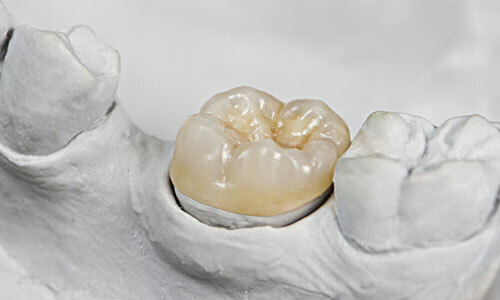 The shape and color will be matched so that the crown or bridge is seamless in your smile. Once the final product is cemented in place, nobody will know that you were ever missing a tooth! A crown or bridge is meant to be permanent in the sense that it isn’t temporary. Rather than calling them permanent, we should call them the “final” crown or bridge. They are cemented in place with a cement that is intended to be “permanent”, but only as long as the crown or bridge lasts. This is really more a question about longevity, than permanence. Final crowns and bridges are made to last for a very long time. But, they don’t last forever, in most cases. So if the question is, “are crowns permanent?”, then the answer is no. Some crowns are intended to be temporary. 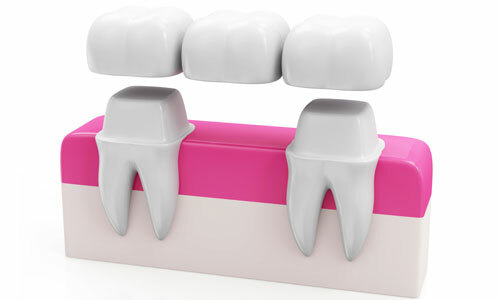 They are also called “provisional crowns” or “provisional bridges“. Because they are called “temporary” perhaps that is where confusion comes with regard to other crowns being “permanent”. Temporary crowns are worn while your final crowns are being made in the lab. They are more fragile than the final crowns. Due to this, they sometimes break or crack. Furthermore, they dislodge occasionally. The temporary cement isn’t super-strong. This is because the temporary crowns are designed to come off when your final crown or bridge is ready. When provisional crowns or bridges come off, crack or break, call our office so we can fabricate a new one.